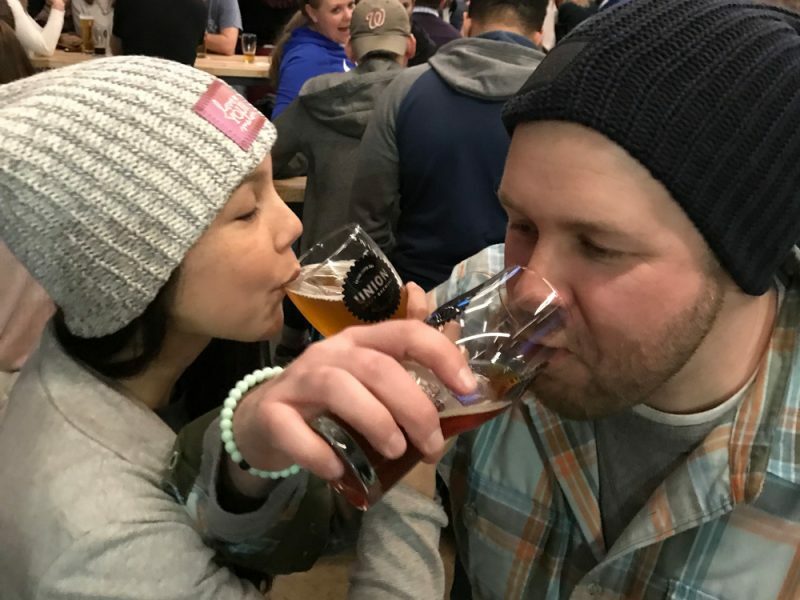 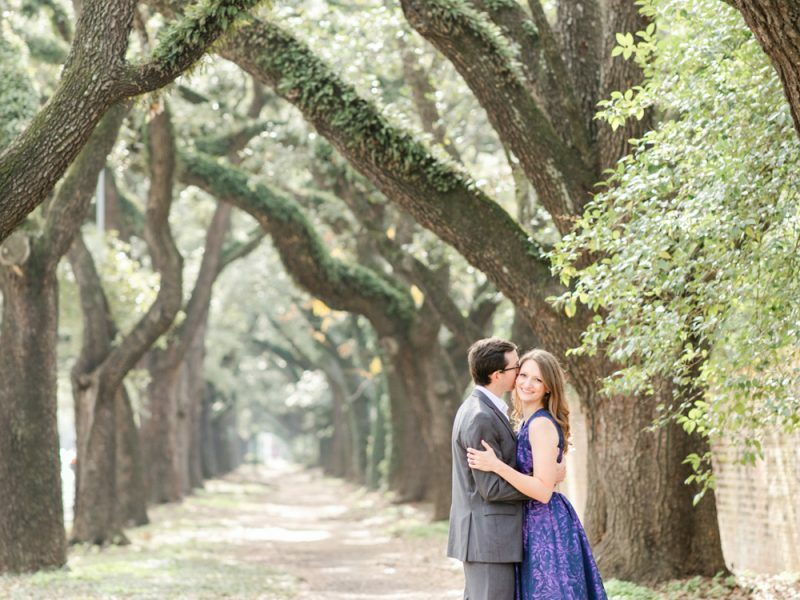 This Wedding of the Month is a little different than we normally post. 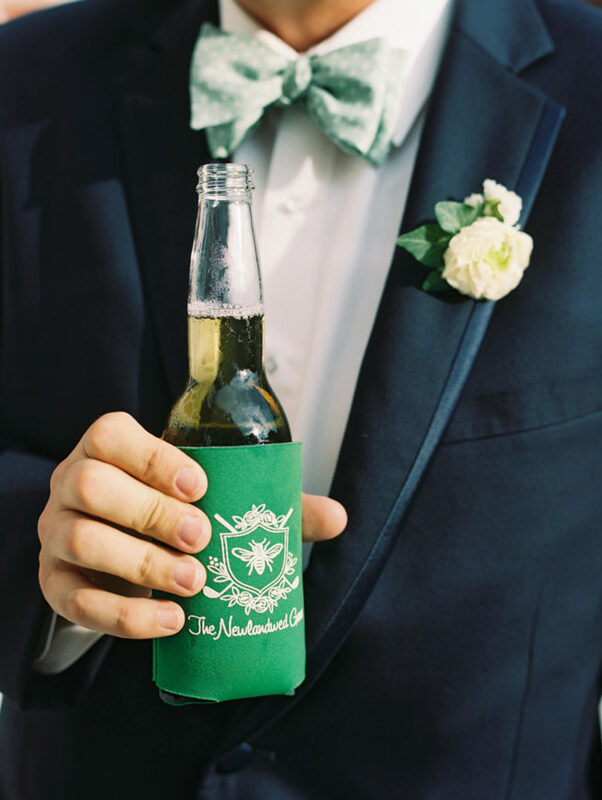 This one did not take place in Baltimore or even in Maryland. 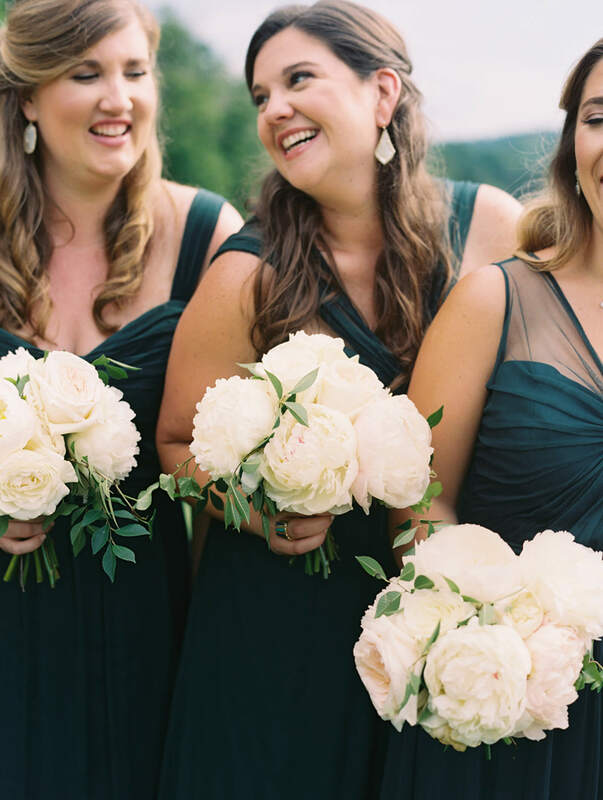 But for many brides who have shopped locally for bridesmaid dresses, Whitney Adams Newland is a familiar face at Bella Bridesmaids. 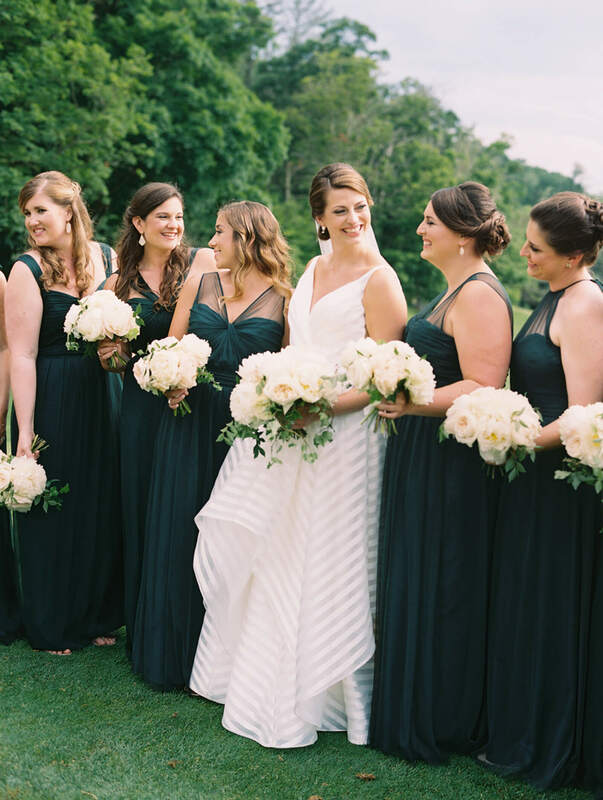 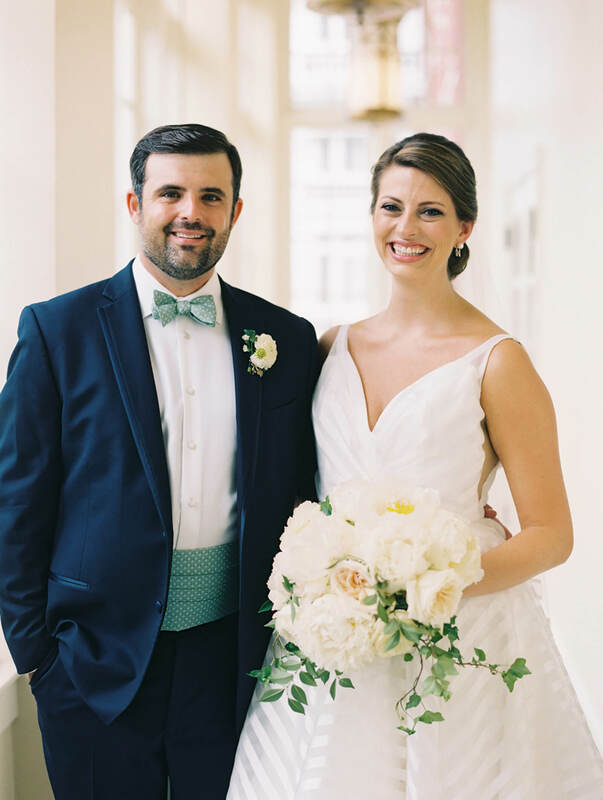 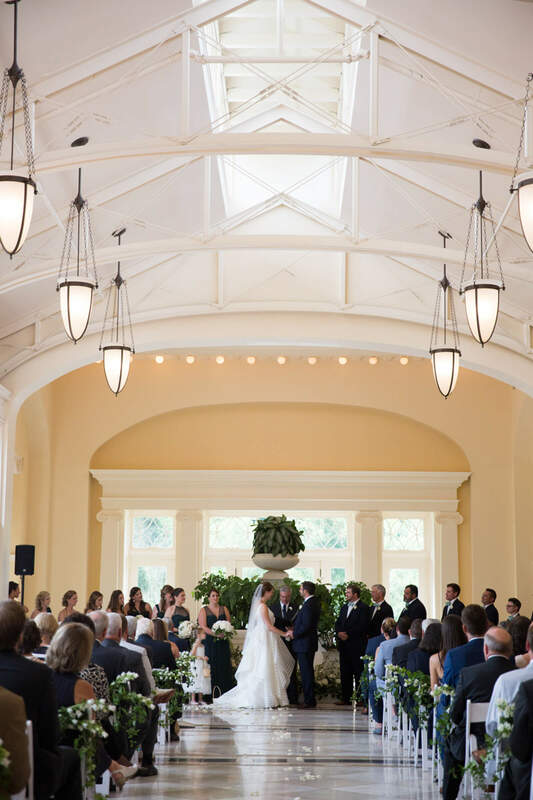 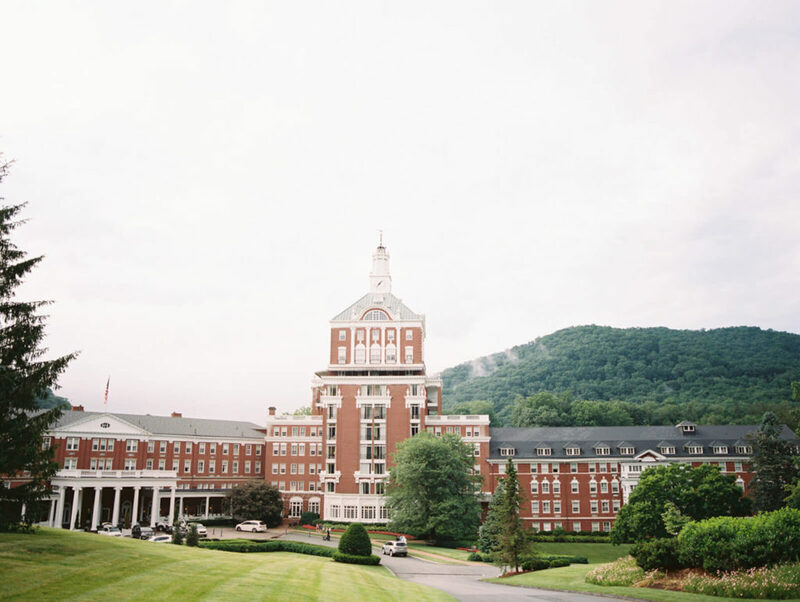 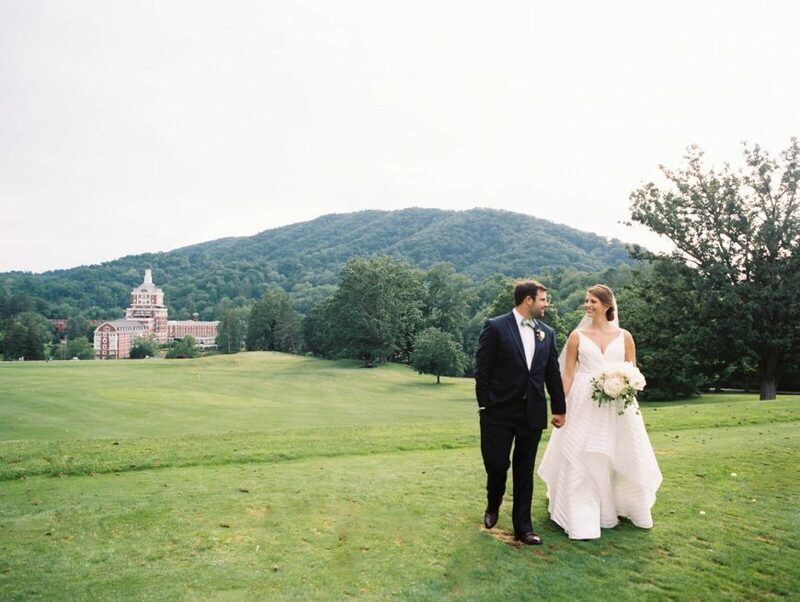 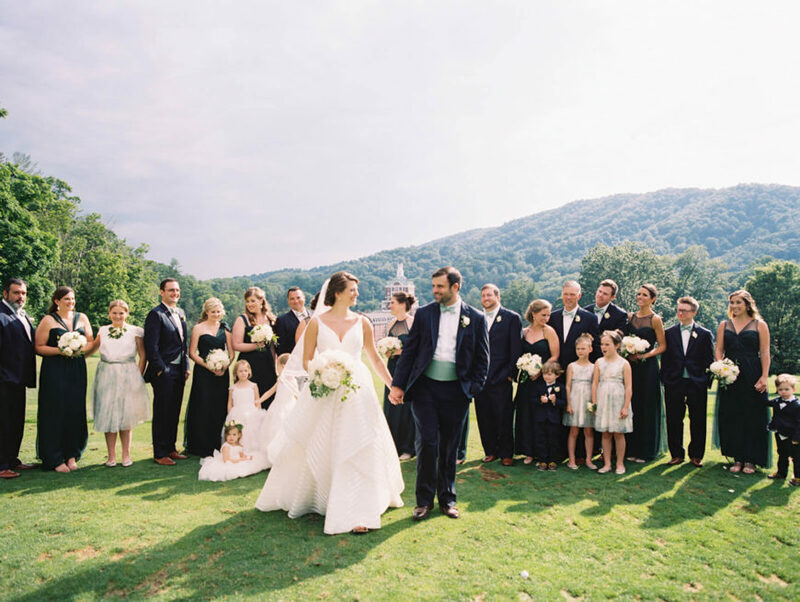 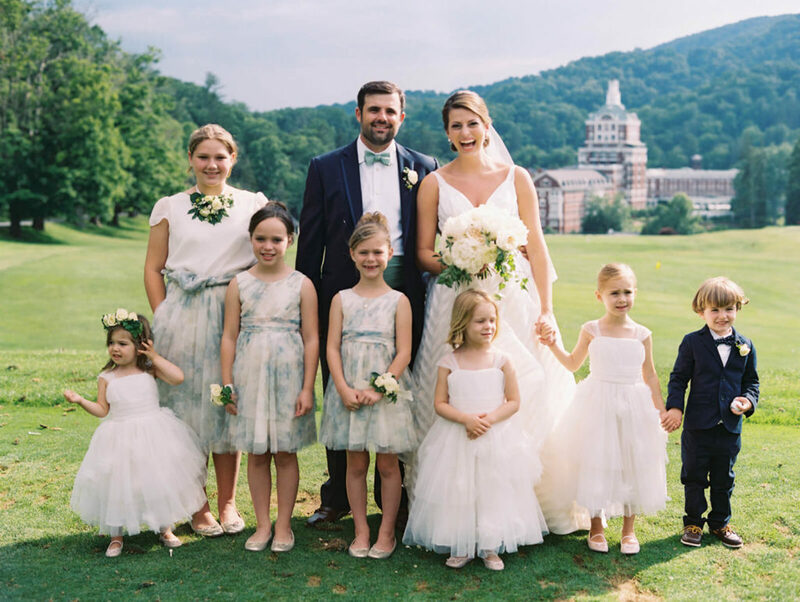 When it came time to plan their wedding, Whitney and Kelly, who live in Charm City, chose The Omni Homestead Resort, in Hot Springs, Virginia, a place the bride grew up vacationing with her family. 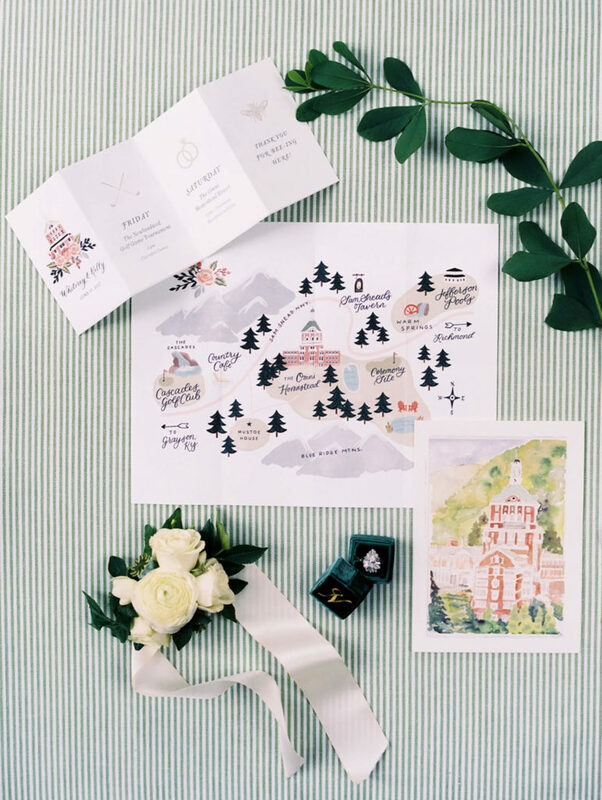 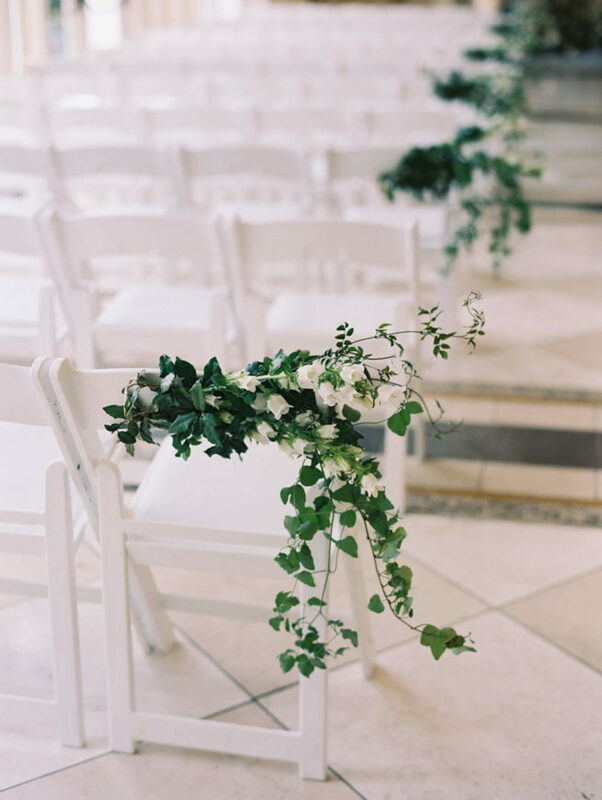 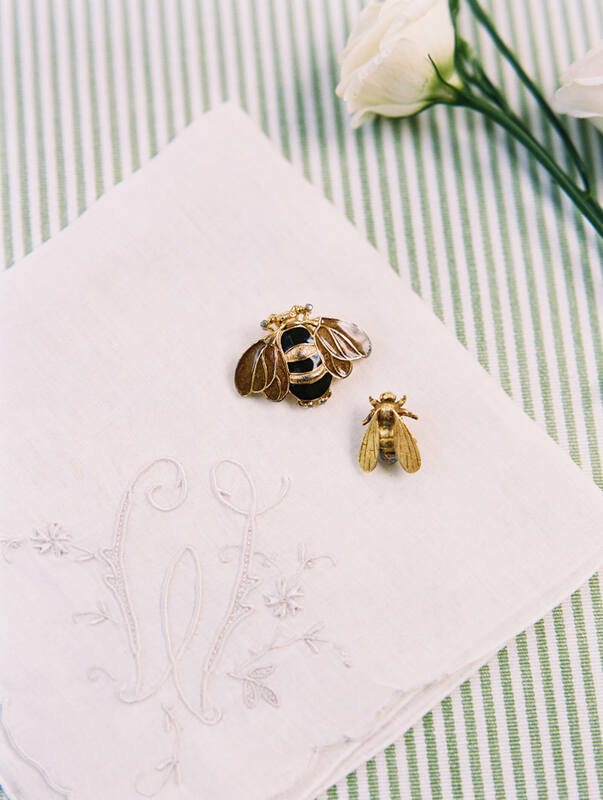 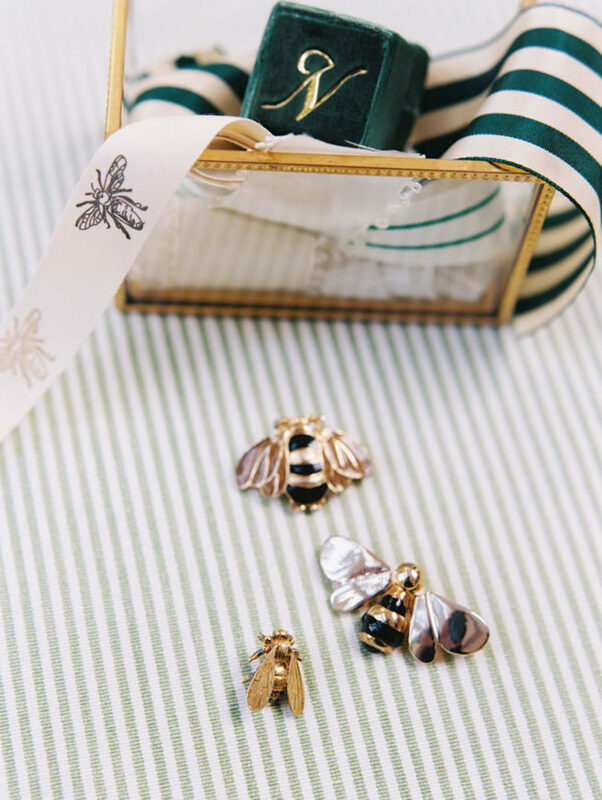 “We pulled in elements of the Homestead throughout the design to honor some of her favorite childhood memories and details found around the resort like bees (found in the upholstery in the lobby chairs which she loved as a kid) in addition to soft stripes found throughout the resort on couches and wallpaper,” says Katey Clark, co-founder of Lemon & Lime Event Design, the wedding planners for this epic event. 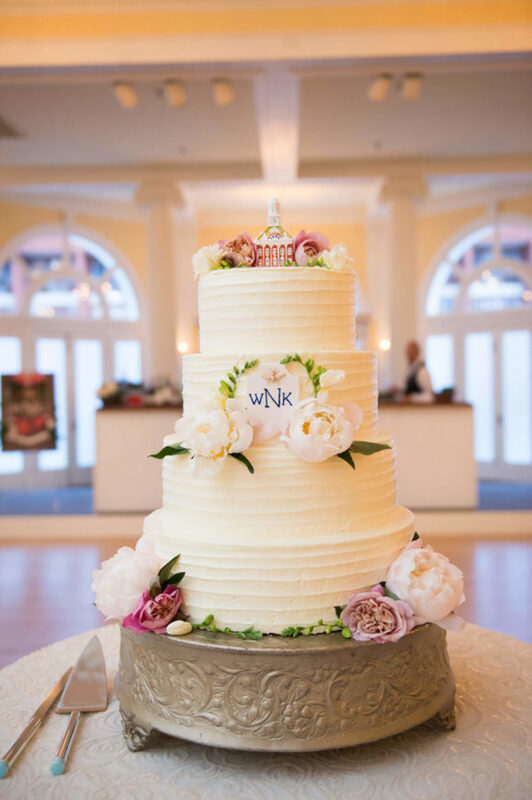 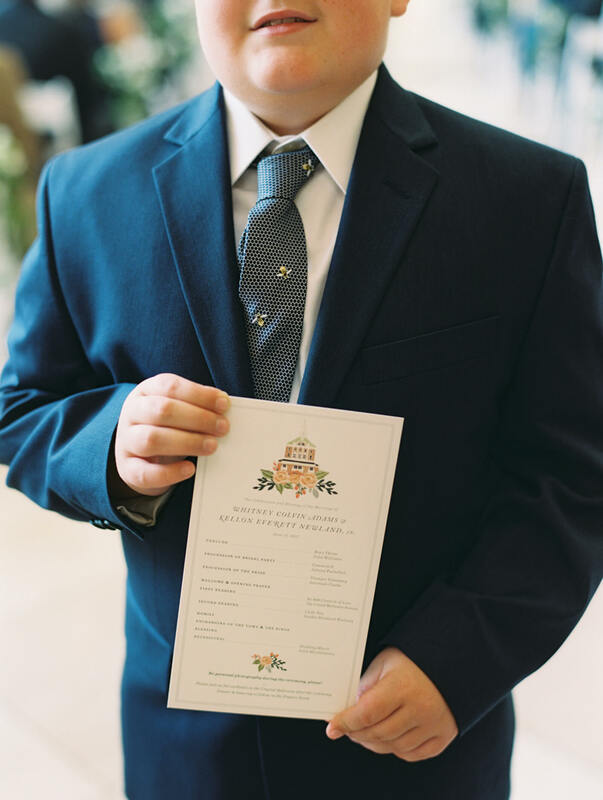 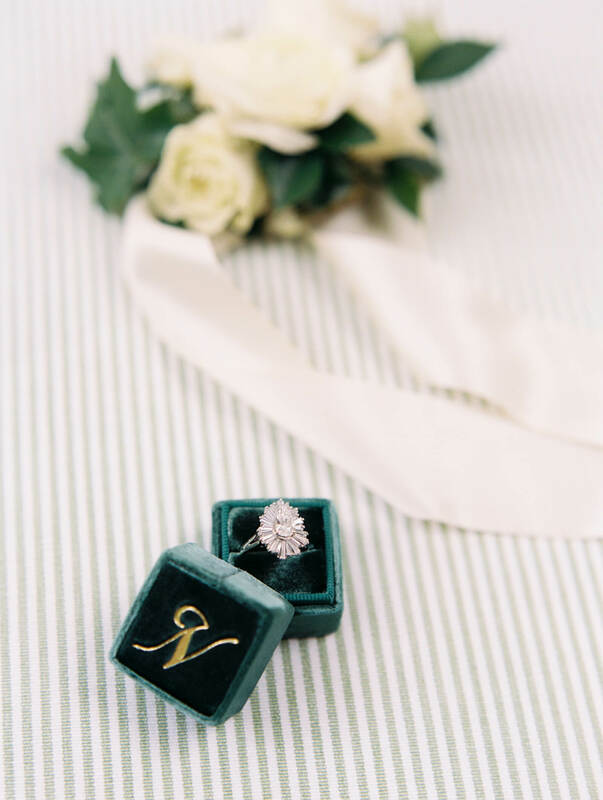 “The bride also honored those stripes in her dress selection.” The couples custom crest was used throughout the wedding details and “we gave a classic southern detail a bit of a twist and used the crest in 3D form at the ceremony and on the cake,” says Katey. 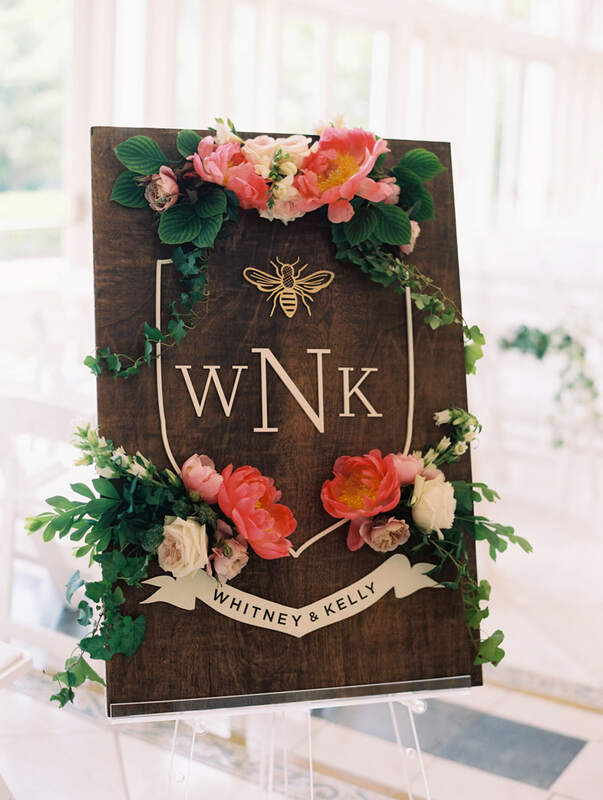 You can see Whitney and Kelly’s Monachetti Weddings video here. 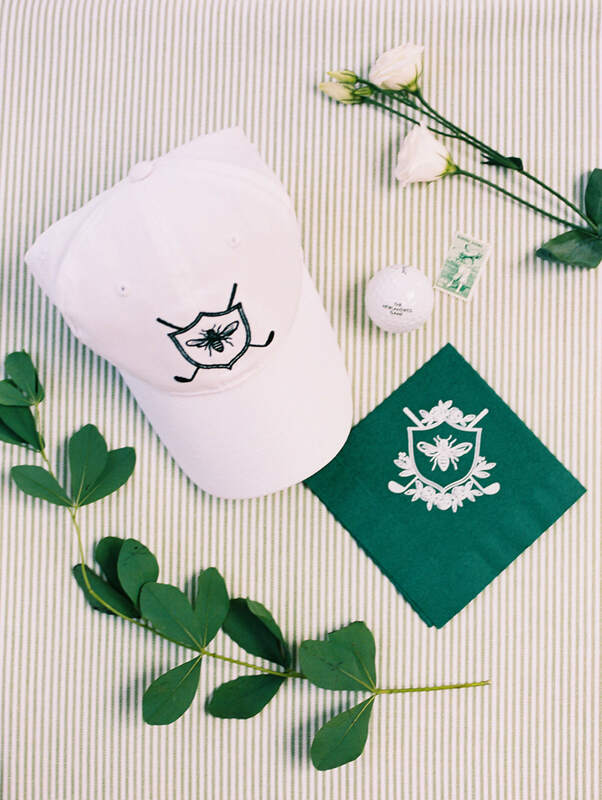 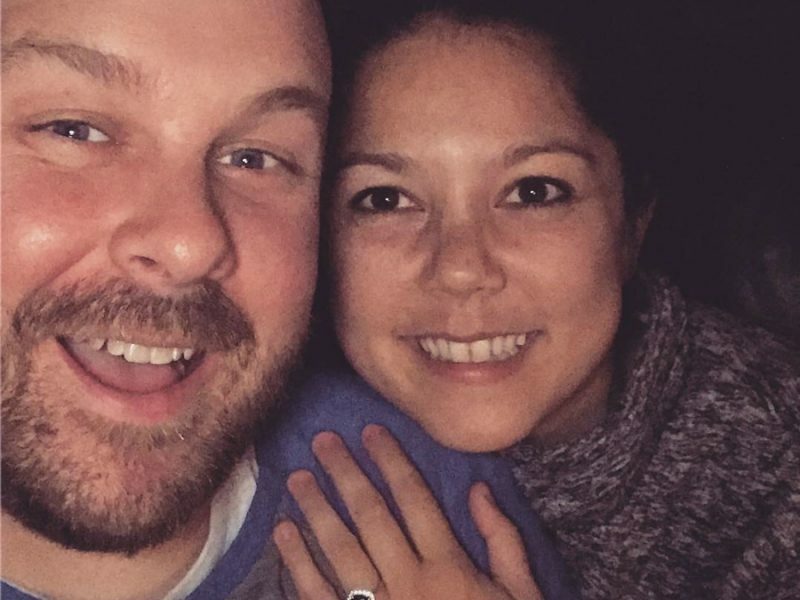 Whitney’s husband is a golf pro, “so of course we had to celebrate this with vintage golf stamps and custom Under Armour hats made for the tournament they held the day before the wedding. 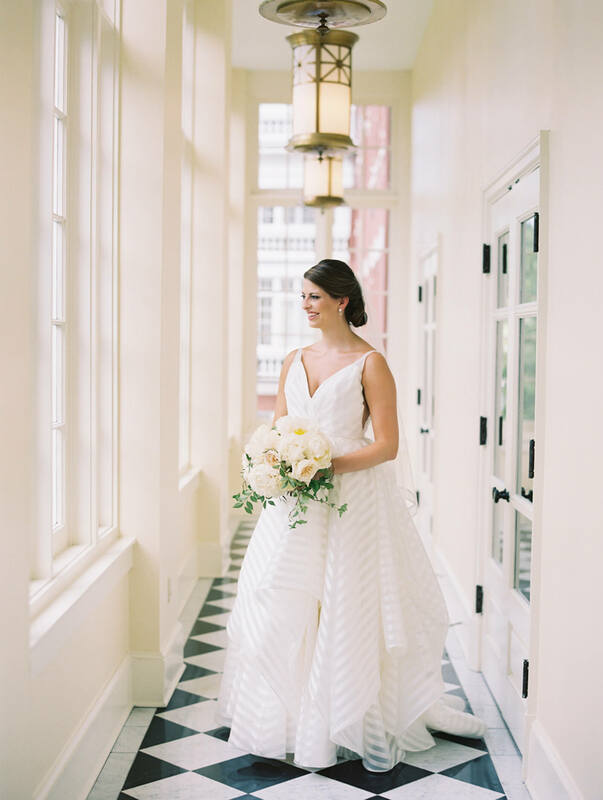 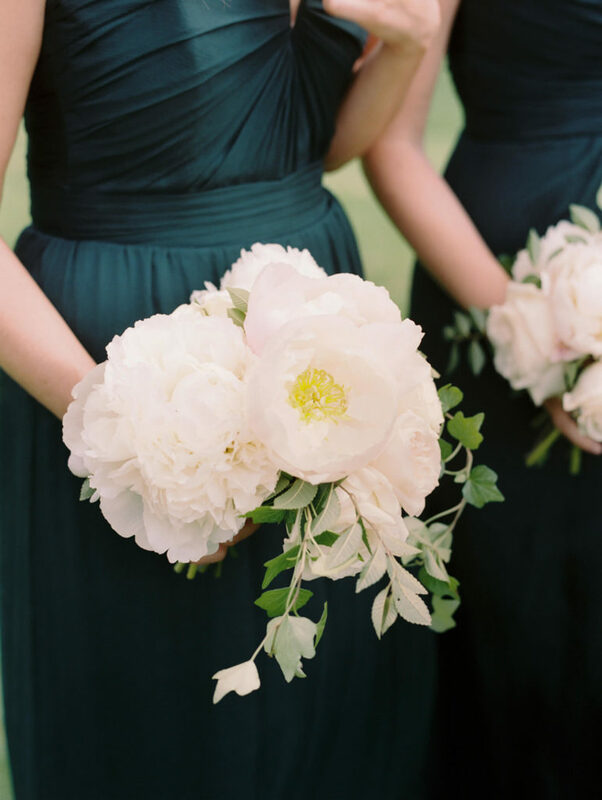 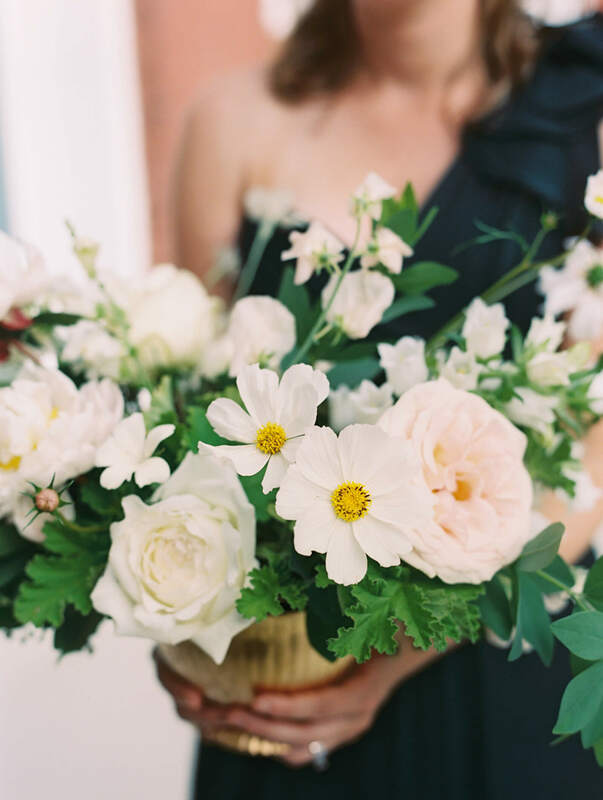 We just adore Whitney and are so excited to show off her gorgeous wedding. 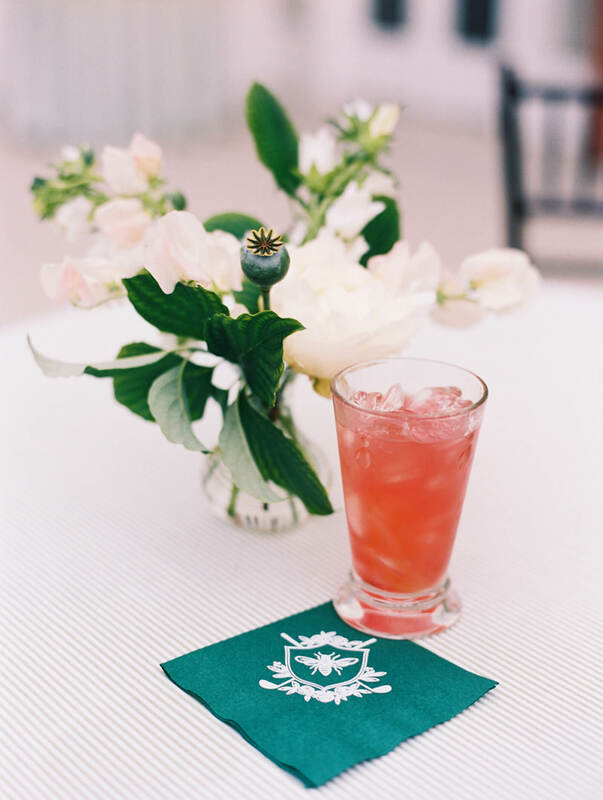 Event Planning and Design Lemon and Lime Event Design Photography Lisa Ziesing for Abby Jiu Photography. 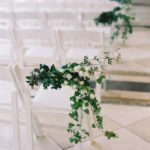 Cinematography Monachetti Weddings. 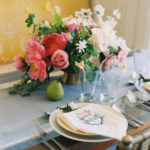 Floral Design Photosynthesis Rentals Paisley & Jade. 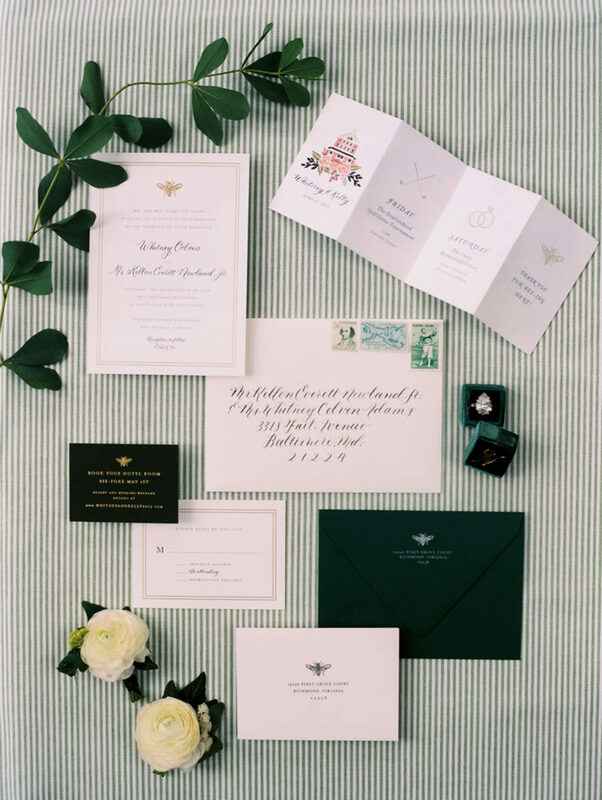 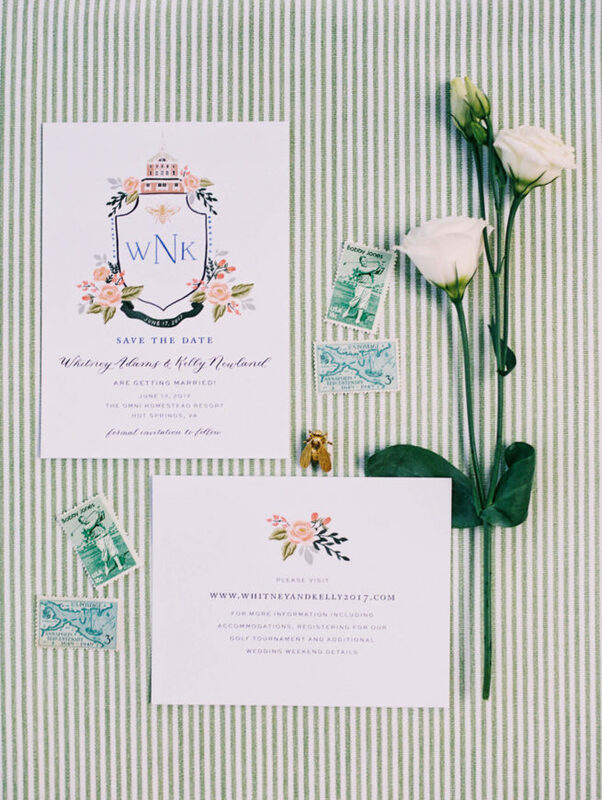 Invitations + Calligraphy Anchor Point Paper Co. Linens Nuage and La Tavola Fine Linens. 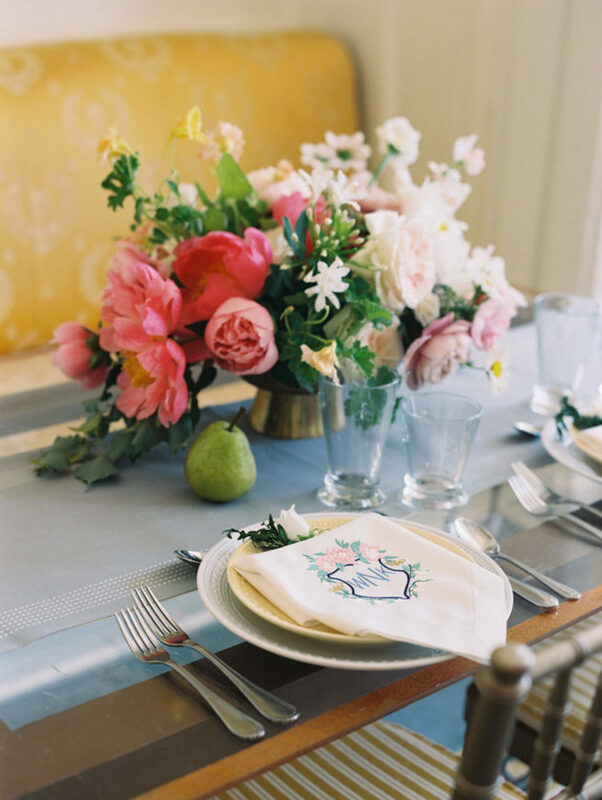 Custom Napkins Lumina Embroidery. 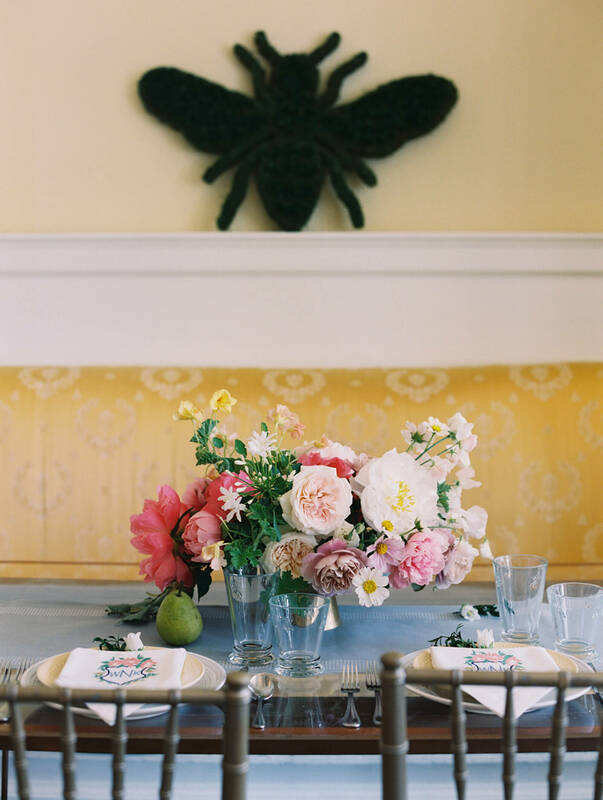 Beauty Avenue 42 Style Studio. 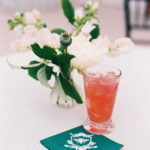 Bridesmaids Amsale and Bella Bridesmaids Venue The Omni Homestead Resort Band Sound Nation. Wedding Dress Hayley Paige. 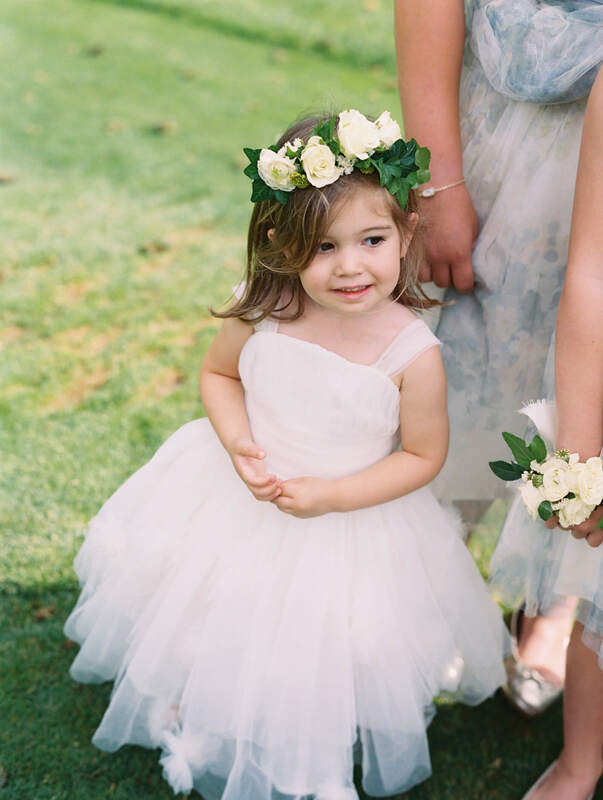 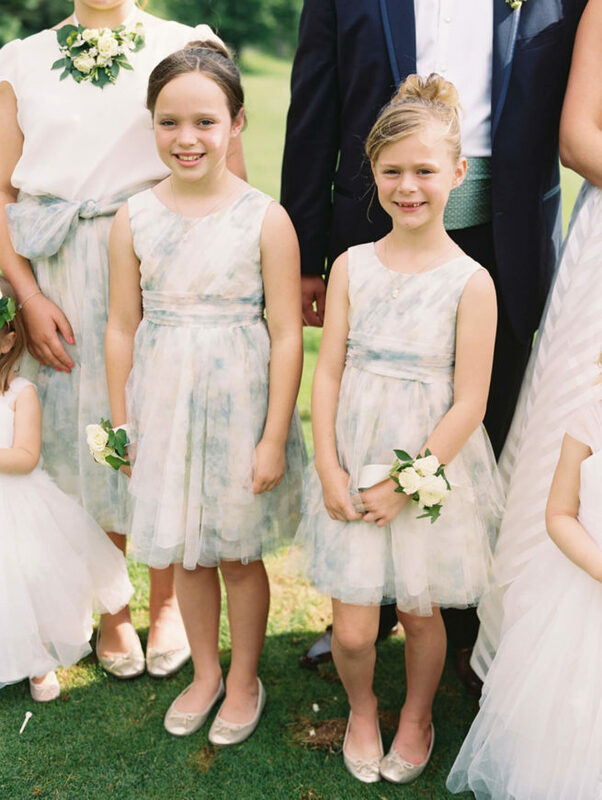 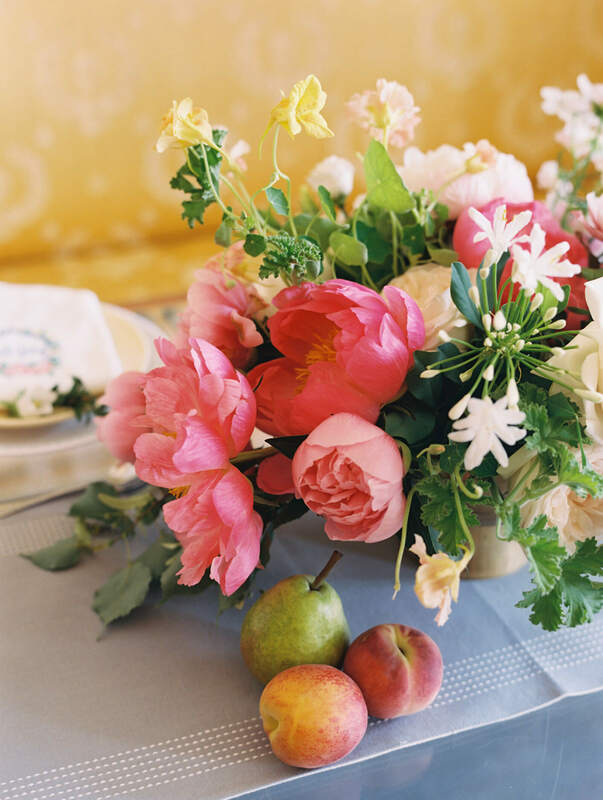 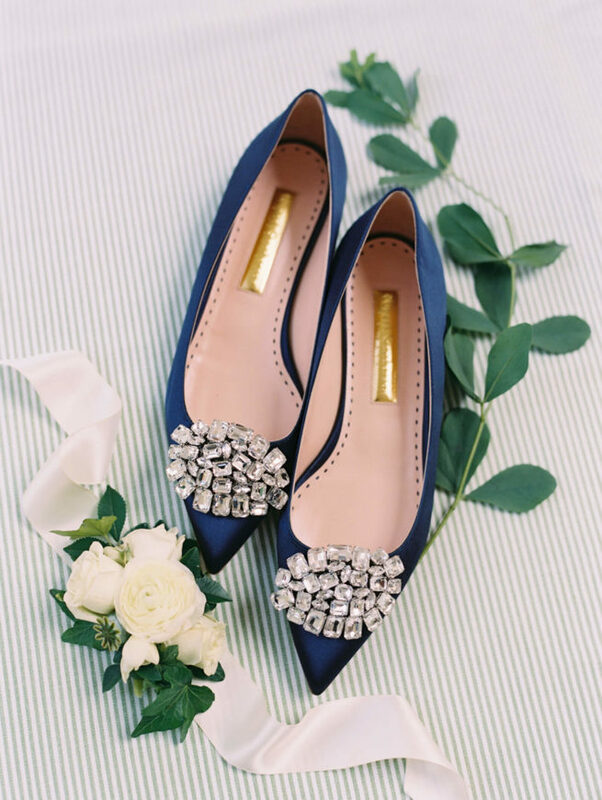 This wedding originally appeared on Style Me Pretty.